The Johnston family (TLC's "7 Little Johnstons"); the Texas Tenors perform. Several nail salons recently inspected without notice have been shut down due to wage violations and recovered more than $47,000 owed to employees. The Department of Labor's Wage and Workplace Standards Division recently investigated 25 nail salons in Connecticut after receiving numerous complaints from people working at nail salons and reading news coverage of "questionable health and employment practices at nail salons, according to the labor department. 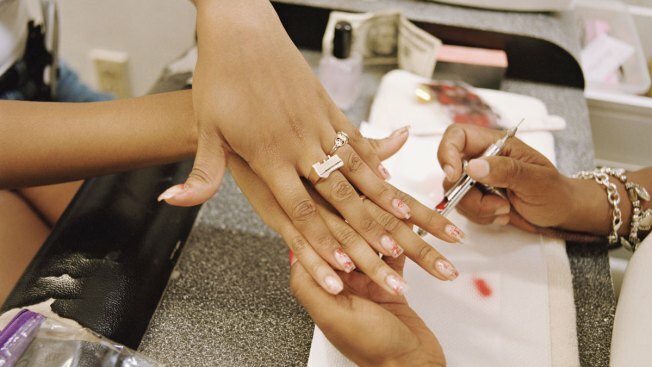 Of those, the labor department shut down 23 nail salons for wage violations. State Labor Commissioner Sharon M. Palmer said that the division got $47,350 back from the salons in wages owed to employees, mostly because of establishments that violated minimum wage laws. She said the division hopes to collect more money to give back to the employees. "An additional $79,000 in civil penalties was levied and collected for under reporting payroll and paying employees in cash and $21,300 for wage and hour violations," according to the labor department. Officials from the labor department made unannounced visits to the salons on Aug. 3, issuing stop work orders for the following nail salons. At the nail salons shut down for violations, investigators learned many employees were paid with cash with no payroll records to trace it, they were paid below the minimum wage of $9.15 an hour and they weren't being paid for overtime, according to Gary Pechie, director of the Wage and Workplace Standards Division. The inspectors also took issue with the salons' worker's compensation coverage, reporting that they didn't have proper coverage. Many salon employer groups contacted the labor department after the investigation, so the division will give them educational materials about state laws that apply to those types of businesses. Protesters Punch, Throw Eggs at Trump Supporters in Calif.
“The wage division places a high priority on outreach and education and we urge employers with questions about wage laws to contact the unit at 860-263-6790 or visit the agency website at www.ct.gov/dol and click on ‘wage and workplace standards’ for guidelines,” Pechie said. Any other employees who weren't paid the right amount of money or who haven't received payment are encouraged to download a complaint form from the website.